Happy Juneteenth! June 19 marks what many black Americans celebrate as the actual end of slavery in the United States in 1865, which did not occur until over two years after Lincoln signed the Emancipation Proclamation. This is not something you necessarily hear about in history classes, but Kenya Barris is setting out to change that. 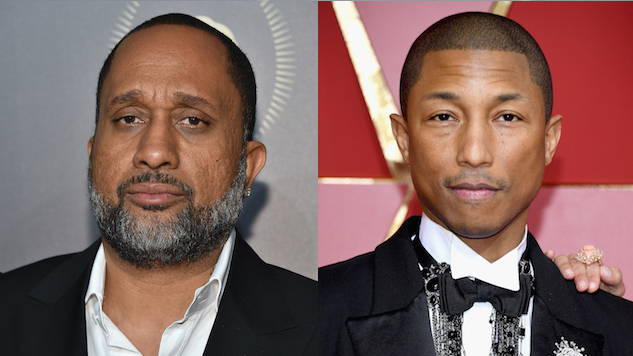 This year’s holiday comes with the news that the Black-ish creator will be teaming up with Pharrell Williams to write a musical based on the holiday tradition. Barris and Black-ish producer and writer Peter Saji will write the play’s libretto, while Williams will write and compose the music. Williams and Mimi Valdés will produce through Williams’ company I am OTHER, along with Saji. “The acknowledgment and celebration of Juneteenth as an American and possibly international holiday is something that I would put in the life goals column for me,” said Barris in a statement (via Deadline). The musical is expected to center on two black families, one living in modern-day America and the other in the Civil War era. Beyond that, no plot details were revealed. “Slavery is America’s recessive gene and it’s time we all dealt with it and what better way to have an audience swallow this dose of medicine than with amazing music and raw, honest, jaw-dropping comedy?” added Barris, no stranger to tackling uncomfortable topics through comedy. Noting that since the Black-ish “Juneteenth” episode the holiday has been recognized an Apple’s iCal, the team seems to have high hopes that Barris’ life goal is an attainable one. Check out the scene from Black-ish below for a taste of what the forthcoming musical might look like, and see Barris’ Instagram post announcing the project further down.